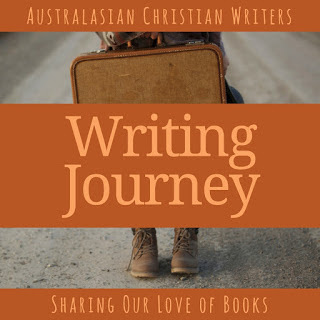 Australasian Christian Writers: I know my Redeemer lives! Sometimes we need to remind ourselves why we write. It's easy to lose the integrity of the gift we have been given as the world shouts that we need to market, to compete, to sell, to make money, to be recognised. Well, I'm working on my tax for last financial year and I can tell you I'm certainly not meeting the world's criteria. These last few weeks I've needed God to remind me why I write and so today I am sharing with you the heart of my writing and just one of the stories behind the heart. 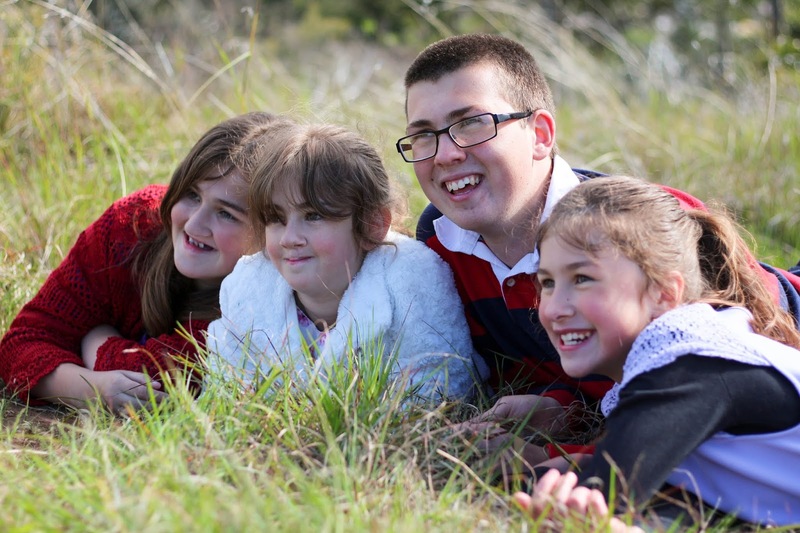 It's a story I shared in my newsletter a few months back. If you're struggling with your writing, I would encourage you to ask yourself these same questions and I'd love you to share your answers, too. I write stories which carry my characters from this broken world into a place of hope and healing through Christ. Why do I insist on writing God’s hope and healing into my stories? 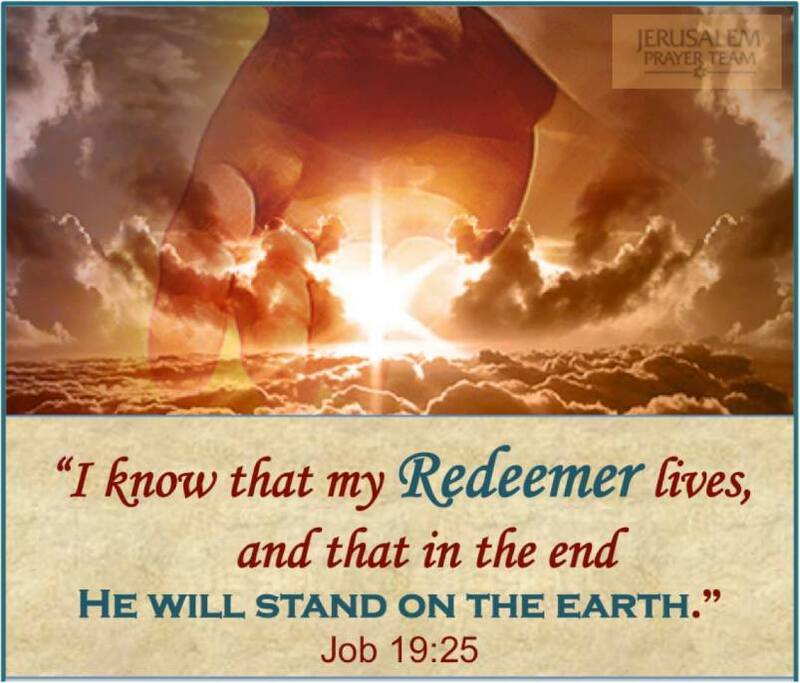 Because I know that my redeemer lives! We have a God who redeems. Not just that one amazing, exceptional time on the cross, but every day. If we look for His hand we will find it. I want others to see and experience God’s spiritual healing at work in their lives, every day as they come to know and love Him more. How do we see God’s hand? There are so many ways. If we look for Him, we will find Him in ways we could never have imagined. And now I’ll share just one of my personal experiences; a story behind my writing. A few months ago I stood in a cemetery, looking at the grave of my friend Jon who died the day before his 21st birthday. It was 20 years ago, but his death devastated me, broke me, shattered my dreams for life. Jon was no ordinary young man. He had a heart for God, an intimate knowledge of the Bible and a lovable personality. When Jon laughed, you couldn’t help laughing with him. When I was 13, just a new Christian, a camp leader designated him my spiritual growth partner and the connection I had with him over the following years was a gift from God. We grew in our faith together. I lived for the letters I received from him. Early that morning his best mates who shared the tent with him reported that he made a few choking sounds in his sleep and died. They tried to bring him back to no avail. When I heard the news, I just ran, trying to escape the reality, screaming out ‘No, no, no!’ as if that could change the devastating truth. I felt like I couldn’t breathe, like I shouldn’t, because Jon no longer breathed. My heart broke that day. The cause was never found. It was put down to a kind of adult cot death. It didn't make sense to me. Jon was always so strong and healthy. One of his favourite sayings, was ‘Keep your eyes on the Lord and we’re sure to meet again.’ He finished every letter to me with that line. But I couldn’t party at his death. Others did, as they shared the food prepared for his 21st birthday party. I was broken. How could the sun shine again without this precious friend living in the world? How could I trust a God who had taken Jon away? Why hadn't God taken me instead? Jon had so many gifts and touched so many lives, ... but me? I was shy, I had health issues, I didn't even want to be on earth. After the graveside service, I couldn’t walk away. I just stared at that coffin, wanting to command Jon in the name of Jesus to rise again. I wanted physical healing for Jon right now. But it was too late. To add insult to injury, a council worker came and asked those of us remaining to leave. He sounded irritated as he pointed to the backhoe nearby and said the council workers needed to fill in the grave. They wanted to get home. It was so wrong. So disrespectful. Didn’t they understand who we had lost, whose body was lying lifeless in that coffin? I couldn’t bear the thought of them dumping dirt on top of what remained of the Jon I had come to know and love. Supposedly Jon was partying in heaven, but I couldn’t feel that, couldn’t see it or comprehend it in my grief. Through the years, God brought great healing as only God can do. Rob, now my husband. He provided a brother in law with the same birth date as Jon so that I have a living person to celebrate on that day. And one of my precious daughters was born within a few days of Jon’s birthday. But that day a few months ago God revealed the power of His healing in a complete way I could never have imagined and that only He could have done. For the first time since Jon died, I happened to drive past the cemetery where he was buried. And I felt a need to go in. I was hesitant. I had an appointment to go to in an hour, and what if memories overwhelmed me? What if the sting of death broke my heart again? Yet I was drawn in. I parked my car and allowed instinct to lead me in the right direction. My heart was jarred by the sight of a backhoe parked nearby. Waiting to fill in another grave. I averted my eyes and began to search the plaques for Jon’s name. I found the grave of my brother’s friend, killed at 16 in a car accident, and knew I was close. But there were so many graves. As I moved to yet another row, the council worker from the backhoe approached me. Where he is? It felt wrong to be speaking in the present tense. I knew Jon wasn’t here anymore. I told him Jon's full name and date of birth and death, carved into my heart and mind forever. The backhoe driver gave me the row and number of the grave, then with compassion and sensitivity, led me there himself. I thanked him and he quietly walked away. And as I looked at that plaque, there was nothing there. Jon was not there. The raw, broken pain in my heart was no longer there. All the questions about why God took Jon and not me were gone. I knew deep within the purpose God has for me and the reason He kept me on earth. That shy, broken young girl is now a woman who speaks for God, writes for God, shares His hope and purpose. I looked up at the sky, the trees, into the heavens, and the only one there with me in that moment was God. In the breeze, the beauty of creation, only God was there. My redeemer. Jon’s redeemer. I came to the cemetery to find Jon and all I found was God. He was alive, healing me, redeeming, using a backhoe driver all these years later to lead me to the place where healing and redemption were confirmed. 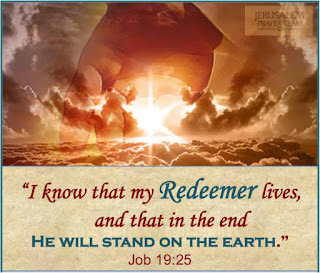 I know that my Redeemer lives and that He has stood upon this earth and continues to walk with me today. I will write about Him, I will share His ways, I will proclaim the beauty and depth of the living Christ who died for me and gave me hope in life and purpose in pain. That is why I write the stories I do. I have the inspiration of a God who writes the stories of healing and redemption in our lives in ways we can’t even begin to imagine. May you know the power and reality of His hope and his healing hand upon you today! I'd love you to share why you write in the comments below. Oh Jenny. Your post brought tears to my eyes. Isn't God so tender in how He loves us. I wonder if the backhoe driver was an angel in disguise. Jon may have been standing alongside Jesus when you looked upon his grave. Together they would have been smiling. Jesus has healed your broken heart. Hallelujah. 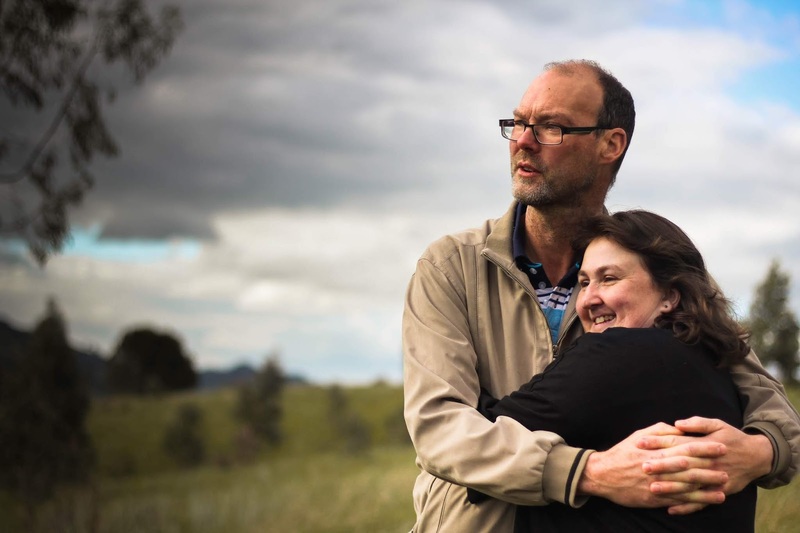 Such a beautiful testimony of Jon, Jenny. He would be so proud of how deep a relationship you have with Jesus. Thank you for sharing something so personal and tender. Thanks for commenting, Ian. Yes, our God is so tender. When we experience it we cannot doubt His love! tears. Thank you for sharing. I look forward to meeting Jon one day. who've gone before us, watching and cheering us on. You too, my precious friend! Beautiful writing Jenny, that shines from your lovely heart. I relate to this story deeply and love you for sharing your heart and passion for our amazing living redeemer! Thank you Rachel. I would love to hear your story sometime. Thank you for all you do to help others get their stories out there! Thanks Elaine. It's one of those experiences where at the time you can't imagine God using it for good, but as always, His plan was there in all the details the whole time. Love this! And I can't wait to read some of your writing some day. May God use it mightily for His glory! And yes, I'm still touched by the way Raewyn's father handcrafted each one of those crosses for us. Just another reminder that God is there, fulfilling his amazing plan in every detail. That's so beautiful Jenny! What a sad story. I enjoyed your post very much. God has redeemed your broken heart! We were having lunch with friends from church yesterday, and my husband told a story of an unexpected death, and even more unexpected results. One Sunday morning, about 26 years ago, his grandparents were driving to church, and were involved in a car accident. His grandmother died instantly - not as a result of injuries, but probably because of the shock of the accident. She was in her late 70's and had served Jesus her entire life, so the family mourned her but knew she was safe with her Saviour. Many years later, another family member was visiting a church in the area when a youngish man got up to share his testimony. He'd witnessed a car accident one Sunday morning. An old woman, a passenger in one of the cars, died instantly. That showed him how suddenly life can end, and prompted him to seek God and become a Christian. You may never know what good has come out of Jon's death in the lives of others. But I'm sure there is an undiscovered miracle there somewhere. What a post, Jenny! Very powerful. Thanks for sharing this beautiful story and journey of faith.